When the November weather turned nasty and the course at the Major Taylor Cup turned muddy and wet, Sunny Gilbert felt right at home. Although her name would suggest otherwise, Gilbert is a rider who rises to the occasion when Mother Nature is anything but bright. The low areas at the Major Taylor Velodrome turned into a marsh and riders were forced to run for long stretches. For many riders in Indianapolis that weekend, becoming runners was not something they looked forward to. For Gilbert, it was all good. After all, her Twitter handle is @run4funner. Gilbert ran, she had fun and she took the first UCI weekend sweep of her career. Not bad for two days of weekend work. For Gilbert, that weekend work is overtime. 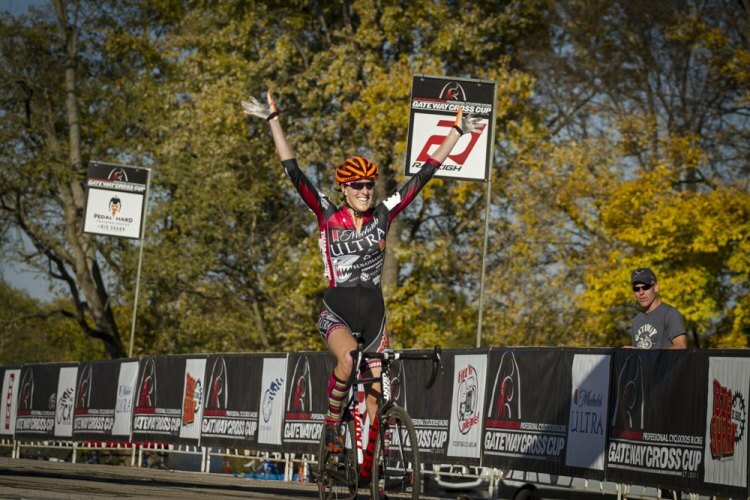 The St. Louis native works full-time as a PhD-holding scientist during the week and then during cyclocross season, she hits the road for her weekend day job. Gilbert joins fellow tall Van Dessel Factory Racing teammate Cassie Maximenko in the team’s double-career club. 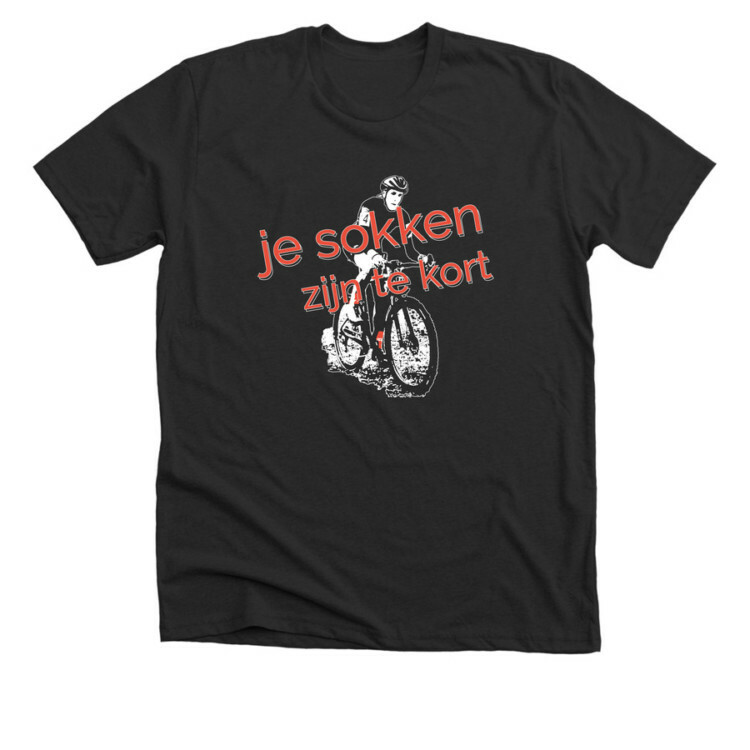 The sport of cycling has long lionized the “working-class hero” who comes from humble roots or works to make a living before racing on the weekend. It turns out, U.S. cyclocross has a Working Woman of Cyclocross of its own. Sunny Gilbert’s day job is as a biochemist, and she has worked her way to the Elite level of cyclocross, now as a member of the Van Dessel Factory Racing Team, thanks in part to her lifelong background in endurance sports. A PhD scientist is a far cry from the blue-collar working man of years past, but Gilbert’s rise through the ranks of the women’s field while balancing a full-time professional job has still been an impressive feat that has taken yeoman’s work. 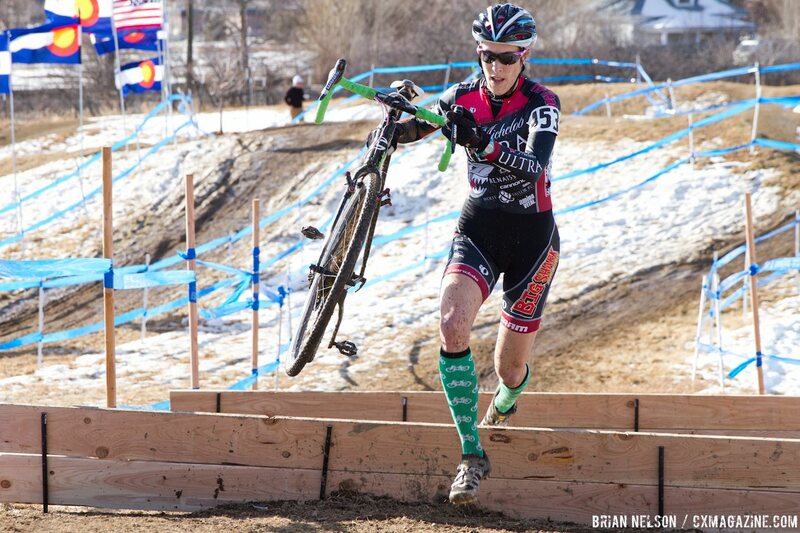 Gilbert is doubly blessed because her cyclocross success has come later in her athletic career. Women such as Katerina Nash, Katie Compton and Helen Wyman are still at the top of the sport in their late 30s, but more and more, cyclocross is becoming the sport of the young cycling stars. Gilbert did not start racing UCI cyclocross until her early 30s and joined the Van Dessel Factory Team at age 37. 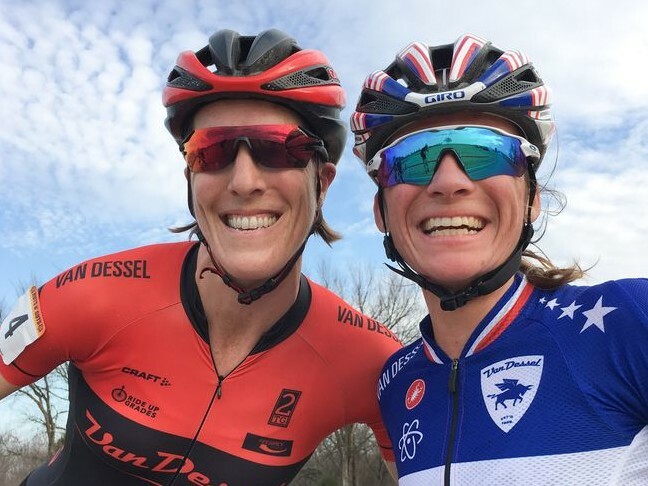 Now in year two of Van Dieseling with Van Dessel, her results have only continued to improve. Although most women are unlikely to follow Gilbert’s path through a PhD program in Biochemistry, she does think more women with diverse backgrounds in sport and life are likely to follow. Race cyclocross long enough, and you will come across athletes who start out as Cat 5s and then effortlessly move through the ranks to the Elite field in a matter of a year or two. It is understandable to be jealous of their success, but if you dig deeper, you will often find years where these athletes honed their aerobic engines. For Sunny Gilbert, honing her “Van Diesel” engine started at a young age. In fact, one could say she has a lifetime in endurance sports. Literally a lifetime. Not surprisingly, running became a huge part of Gilbert’s life. She started racing track in elementary school and continued with the sport into high school and then college. At the University of Missouri, Gilbert was a Track and Field star. She was two-time All-American in the 800m and won the national championship in the distance medley relay. After graduating from college, Gilbert moved to Boulder for graduate school. There she traded the 800m for triathlons. And several hundred other sports. “Actually, I picked up a lot of sports in Boulder like mountain biking, distance trail running, and snowshoe-racing,” Gilbert said. What about that other sport, you know, the one we all like? “But not cyclocross!” she added. Fortunately for U.S. cyclocross, her life of science would take her to Oregon, home of a local cyclocross scene with an allure difficult to resist. Although she grew up as a runner, Gilbert was quick to point out bikes were an integral part of her life before she learned about cyclocross. With her love of running and biking, it is little surprise that Gilbert also excelled at triathlons during her 20s. 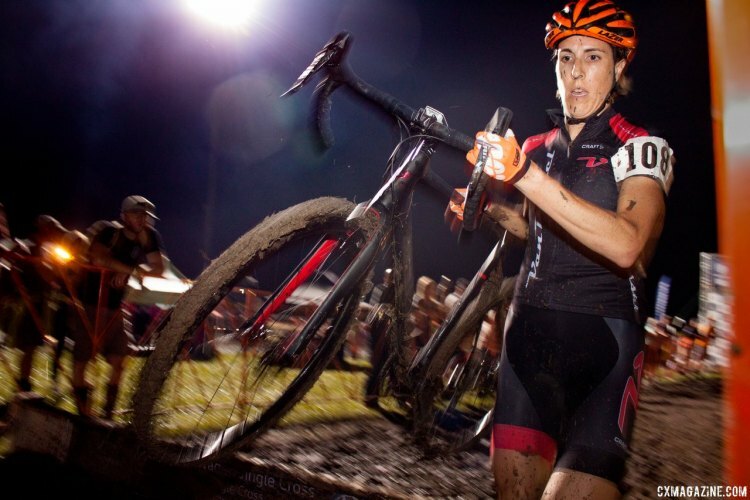 Racing at the sport’s elite level also helped her continue to build her athletic engine, even though she still did not know the work was destined to lead her to the mud and ruts of the cyclocross course. 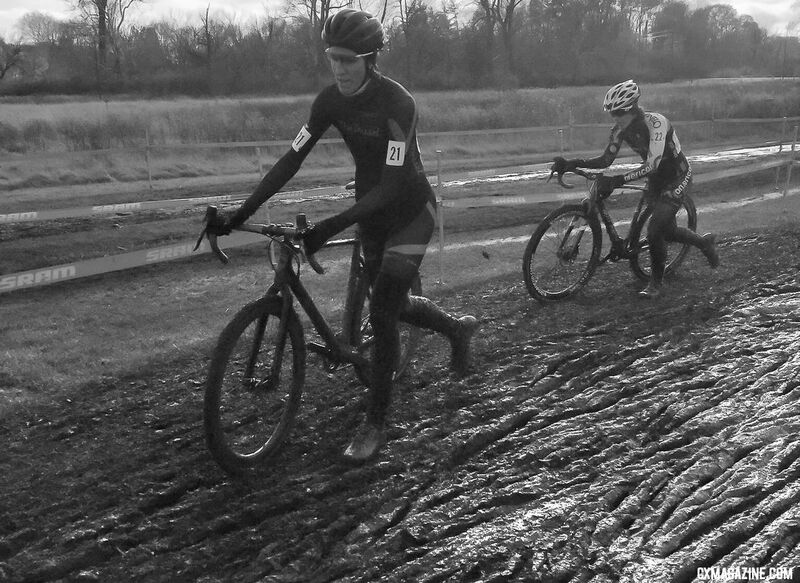 Oregon’s Cyclocross Crusade is legendary for its fun, welcoming atmosphere and development of top-level riders. In our profile of photographer Jeff Curtes, he said that Portland was where he learned to love cyclocross. The same is true of defending U23 National Champion Lance Haidet, who learned about the sport when he lived there. The list undoubtedly goes on. Gilbert moved to Corvallis, Oregon after finishing graduate school to take a position as a research scientist. Once there, she quickly learned the importance of a proper off-road bike. Oregon’s ’cross scene had struck again. The sport of cyclocross had another convert. Gilbert eventually moved back to her hometown of St. Louis, where conditions were ripe for her destiny as a Working Woman of Cyclocross. 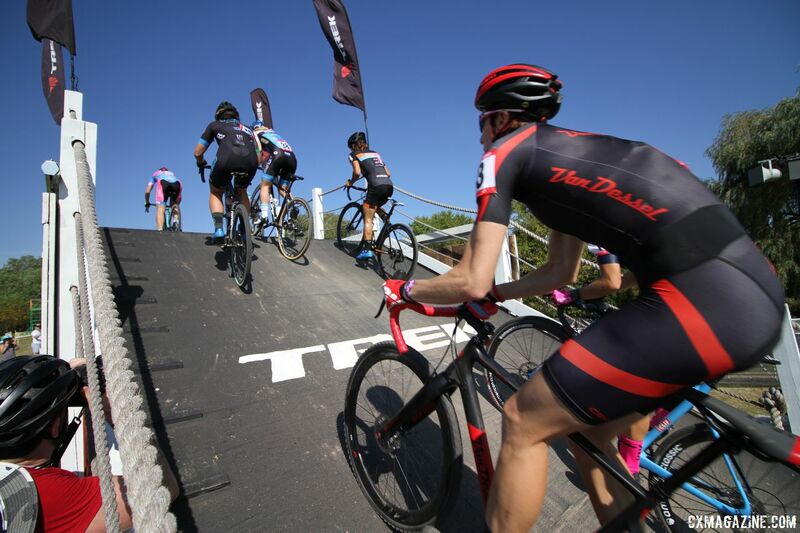 The Midwest has traditionally been home to a number of UCI races, which at that time included Jingle Cross in Iowa, the Sun Prairie GP in Wisconsin and the Derby City Cup in Kentucky, among others. Her company works on making genomic data more accessible to researchers and doctors. One could argue dialing in lines and choosing a tire pressure is a piece of cake after a week doing her work. Although Gilbert is supported by the Van Dessel Factory Racing team, the work of getting to the races usually comes down to her and her partner Doug. She puts in a full week at her day job and then the two load up the car to drive to race. 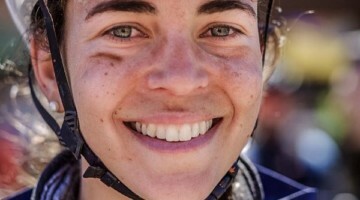 Things are a bit different these days, with some of the driving replaced with flying to races to nab UCI points that allow her front-row domestic call-ups and the opportunity to race in Europe. She is headed to the latter this week and will be racing at the Zolder World Cup on Tuesday. ‘‘Twas four days until departure, and all through the house, bike parts, and tools were awaiting their packs. The #FTB frames were hung from the @thule box with care, in hopes that a trip to Belgium soon would be here. The wheels were ready to receive glue and tires, while visions of tread patterns danced in our heads. And, @dougefreshcx in his wellies, and I in my spandex, put the finishing touches on the trip we have planned…. Happy #CXmas to all, and to all a good ride. I am not going to lie, part of my motivation for writing this story was learning how Gilbert fits all this in. Working, training, traveling, winning, it cannot be easy. “Planning, phone apps and training with a coach,” she said about making it all work. Professional cyclists structure their days and weeks to make sure they get the most from their training. For a working woman like Gilbert, figuring out that structure can be the difference between a podium and a long drive for a middle-of-the-pack finish. Efficiency and plenty of sleep are key. The first time I heard the name “Sunny Gilbert” was at Jingle Cross in 2014. On a cold, snowy Day 3 in November, a tall, Midwest local hero racing for the Michelob Ultra / Big Shark Racing Team landed on the podium beside Courtenay McFadden and Katerina Nash and ahead of names such as Meredith Miller and Caroline Mani. Her finish was that darn impressive. I remembered the name. Within two years, Gilbert went from local hero to professional star. As is becoming a theme with women such as Ruby West, Maghalie Rochette and others, her road to success started with the guidance of another woman rider. Gilbert eventually started to swap messages with Van Dessel owner Edwin Bull and after about a year of hammering out the details, she was in. At the start of 2016 at age 37, Gilbert was a professional cyclocross racer. When Bull says Gilbert has a great positive energy, he is not joking. It feels hackneyed to say Gilbert has a sunny disposition, but it is truly hard to argue she does not live up to the name. Earlier this season in Louisville, Gilbert passed up her front row call-up and started in the second row. After missing the famed (or notorious, depending on your opinion) Cyclocross Magazine Sporza-style start line video after choosing a second-row starting spot, she cut one of her own for us to make up for it. Bull’s belief and confidence in Gilbert has paid off since the start of 2016. 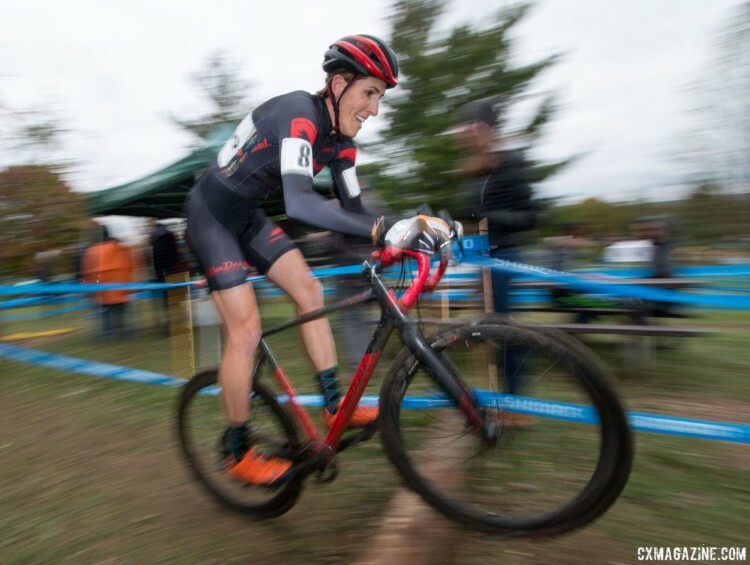 Gilbert finished fourth in the mud on Day 1 of Jingle Cross in 2016, won Cyntergy Hurtland and then went on to finish ninth at U.S. Nationals in Hartford. 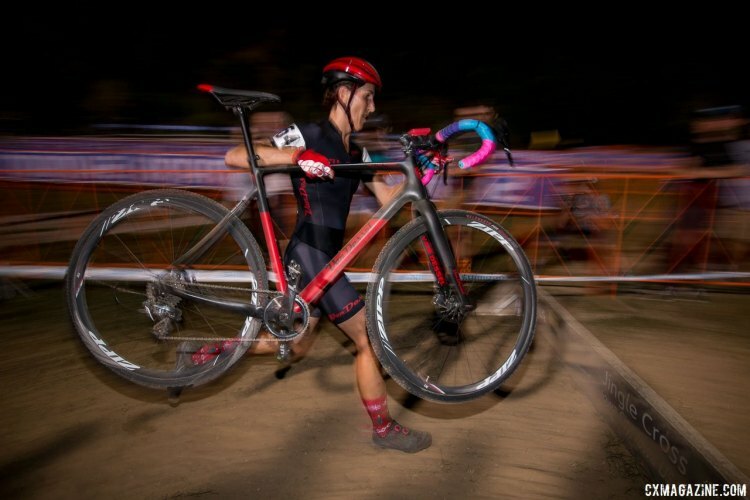 This season, Gilbert won on Saturday night at Jingle Cross, swept the Major Taylor Cup weekend and finished the domestic calendar with three straight podiums at Ruts N’ Guts and the Resolution Cross Cup. Sunny Gilbert has had a lot of success despite turning pro in her mid-30s and balancing life as the Working Woman of Cyclocross. That success, though, begs the question, does she wish she started earlier? Gilbert went on to mention other women she has seen discover cyclocross in their 30s and then go on to have successful careers at different levels. Perhaps that is part of why she does not think her path to cyclocross stardom is all that unusual. During her first several years racing at Nationals, Gilbert doubled up in her age group and the Women’s Elite race on Sunday. After winning the Women’s 35-39 National Championship in Boulder in 2014, she decided to go Elite full time. 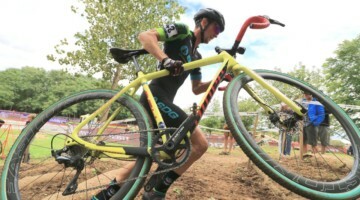 Winning a Masters National Championship would be a career-crowning achievement for most cyclocross racers in the U.S. For Gilbert, it was just the beginning. 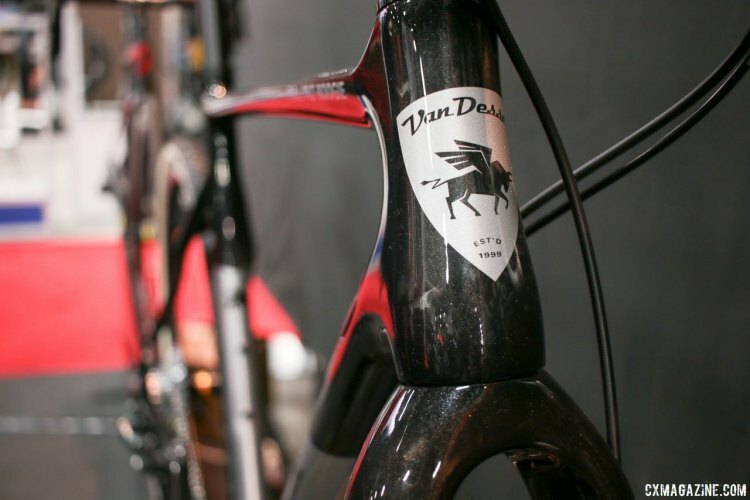 If Gilbert is maybe a bit surprised by her success, Van Dessel’s Bull is not. There is no question Gilbert has put in the work, both in the lab and on the bike. This week, she is getting a well-deserved vacation. Except at a time when her co-workers are likely headed to anywhere warmer, Gilbert is headed to Belgium. In December. Gilbert will be on the start line at the Zolder World Cup, where she will be getting her last prep in before Nationals in Reno. She raced at Zolder in 2016, so the experience will not necessarily be new. She did, however, finish 39th in that race, so moving up in the final results is certainly an obtainable goal. Then comes Nationals, where she will be looking to top her ninth-place finish from 2017. 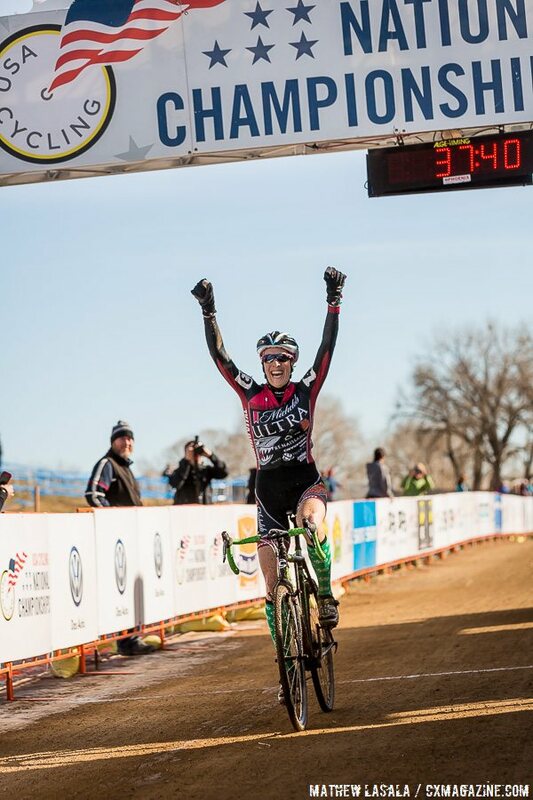 No matter the outcome, Gilbert has come a long way in her cyclocross career and appears to have more accomplishments to come. And if she does have great races at Zolder and Reno, it will just be another successful day at the office for one of the Working Women of Cyclocross.